It is one of the great conundrums of eating out in Kuala Lumpur. 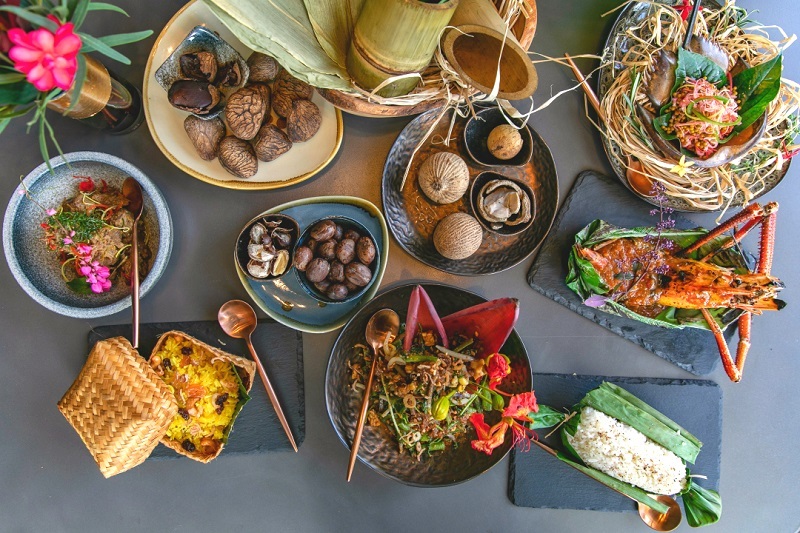 With a wealth of wonderful street food, diverse cuisines and rich culinary culture, why is it that we are always stumped when we have to find an elegant restaurant that serves authentic local food? I don’t know about you, but apart from seafood restaurants and hawker stalls, I have not had much choice when it came to entertaining friends (particularly guests from abroad) who wanted to enjoy Malaysian food in stylish comfort. When pressed for recommendations by friends in a similar quandary, the only name I could think of would be Changkat Bukit Bintang stalwart, Bijan, which turns 16 this year. So, after a decade and a half, I am delighted (and relieved) that we now have one more place in town to show off Malaysia’s culinary wealth to the rest of the world. Enter OpenHouse at KLCC, the brainchild of Andrew Wong and Brian Quirk who also run Acme Bar & Coffee and Delirium Café. Although its location within a mall warrants the raising of a dubious eyebrow, the set-up and décor put paid to any doubts that might have lingered at the back of my mind. Also winning it a heap of brownie points was the sight of restaurant manager Effandie Sani at the door. Seasoned diners-about-town would agree that Fandie’s presence is a reassuring one and lets you know immediately that all — from service to the overall experience — will undoubtedly be well. True to form, we were seated, menus in hand, within minutes and service was pleasant and welcoming, without being obtrusive. The wait staff were well-informed and could explain with enthusiasm and detail about the various curries, sambals and even ulam on offer, as well as share nuggets of information on the sumptuous decor. There are a few themes running and, if you are dining in a big group, do ask for the round table in the Baba Nyonya Room or, if dining à deux, a quiet corner of the tranquil Plantation Room. If you are new in town, then do ask for a table with a view overlooking the fountains of KLCC Park. 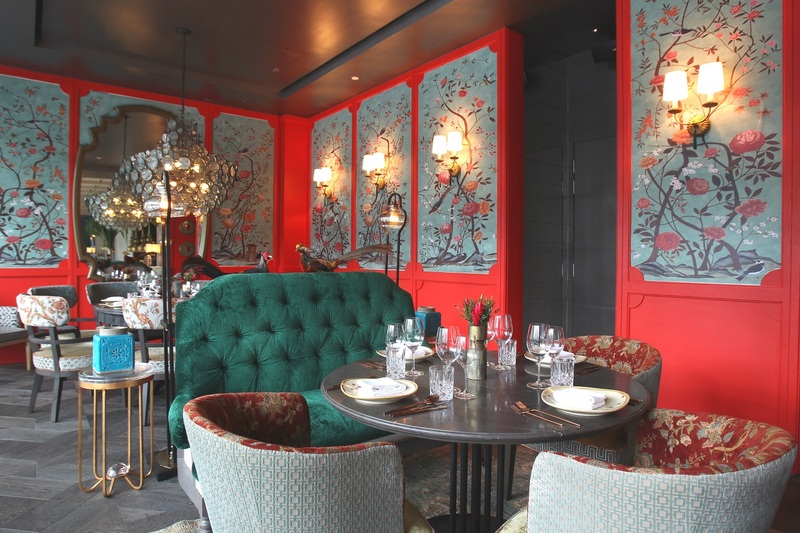 My recommendation would be to always start the evening with drinks at the divine bar with its gold gingko leaf-adorned counter, redolent of the Tommaso Barbi brass floor lamps at London nightclub, Annabel’s. The signature cocktails are conceptualised by the famous Shawn Chong of Omakase + Appreciate so you can rest assured all choices will be delicious while packing the necessary punch. If cocktails are not your thing, the wine list is well put-together, with enough choices for you to navigate between what to pair with a rendang or perhaps a pungent tempoyak gravy. My personal favourite way to start any meal at OpenHouse is with a glass of wine, accompanied by a serving of Sira Keropok Ikan (RM13), crisp, fried fish skin crackers, all to myself. Aside from that, all dishes are designed to be shared. 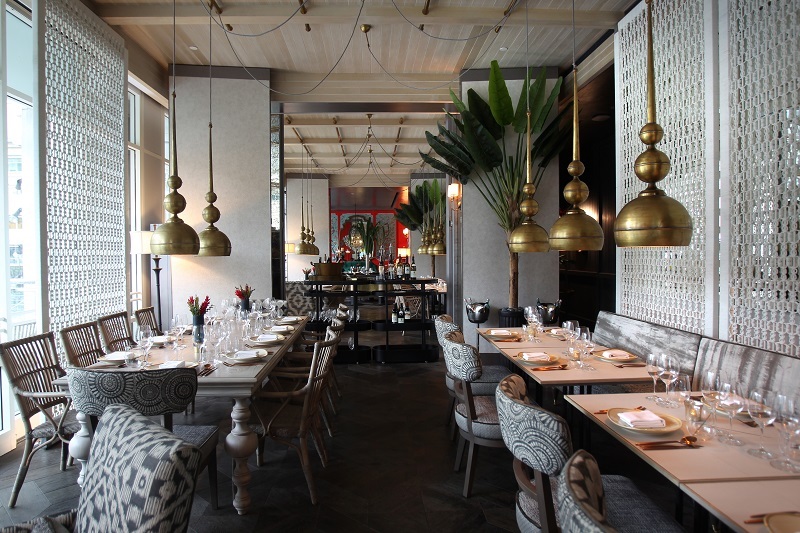 Crowd-pleasing starters would include the Umai Prawn Borneo (RM47), Thomas Keller-like cups lined with betel leaf and filled with Malaysia’s version of ceviche, and the Melon Trio Dusted with Serunding (RM29), melon balls topped with prawn, chicken and beef floss. If you are dining with less adventurous guests, do know that the satay selection (RM49 for chicken and RM59 for beef) is noteworthy. For mains, do not miss the Smoked Duck with Ciku Salsa (RM55), Salmon Asam Pedas (RM77), River Lobster Tempoyak (RM89) and Smoked Beef Gulai (RM63), all of which should give you ample gravy to mop up the delicious selection of rice. I would advise you to go with both the Steamed Kulim Heritage Rice (RM15), a fragrant strain from Kelantan, and the Glutinous Pitcher Plant Rice (RM29), served in cute little monkey cups and perfect for those whose cameras (and Instagram feeds) are as hungry as they are. Seeing as one is dining in traditional Malay style, a side order of local greens and herbs is a must and here, the Kampong Ulam Set (RM35) will fit the bill nicely, with a good assortment of whatever village greens the chef finds fresh from the market that day, accompanied by your choice of three sambals (I’d recommend the Kulat Kukur, a type of wild jungle black mushroom, the Temu Pauh which is infused with mango ginger and the Tempoyak Ikan Bilis Terung Pipit which features fermented durian and baby aubergine). There are, of course, heaps of other things to try and, despite having visited over half a dozen times already, I have yet to be able to score a portion of the Sulur Keladi (RM27), a dish of stir-fried yam stems in red curry. So, my advice would be to ask the waiter immediately upon arrival if it is available and reserve one posthaste. 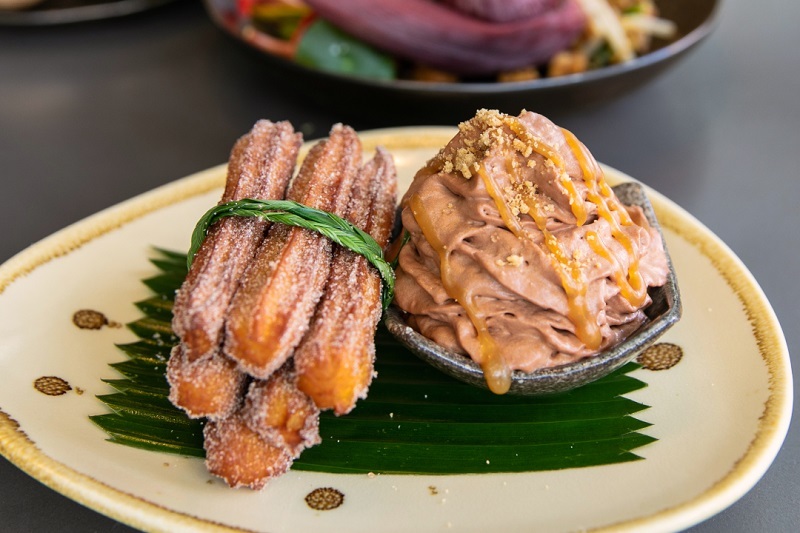 For dessert, only four options are listed: Bubur Som Som (RM25), Keria Churros (RM29), Young Coconut Mousse Bar (RM29) and Teh Tarek Cake (RM27). As I do not particularly have a sweet tooth, I would recommend knocking back a second round of drinks in lieu of pudding, or perhaps a demitasse as OpenHouse’s comes with a delectable portion of dodol, a local toffee-like confection, as opposed to plain ol’ biscotti. If there is a wine snob in your dining party, OpenHouse operates a very fair buy one, free one policy on BYO bottles. Alternatively, it is RM100++ corkage for wine per bottle, RM150++ for bubbles and RM250++ for spirits. And in case you were not sure why the restaurant is named as such, it comes from the quintessentially Malaysian tradition of, literally, opening one’s house to all during festive seasons, inviting friends and even strangers, regardless of race or religion, to partake of food and drink in honour of the celebration. It is certainly an endearing aspect of Malaysian culture. May we all of us do what it takes to ensure the tradition remains, most importantly, enduring. OpenHouse, G48, Suria KLCC, Kuala Lumpur City Centre, KL. 03 2162 0888. Sun-Thur, 11am-12midnight; Fri-Sat, 11am-1am. This article first appeared on Feb 25, 2019.